Are you stressed? Do you constantly have headaches, muscle aches, or other physical pain on a regular basis? Do you suffer from anxiety or depression? Kinesiology may be exactly what you need if you are looking for a healthy, natural, holistic approach to healing. 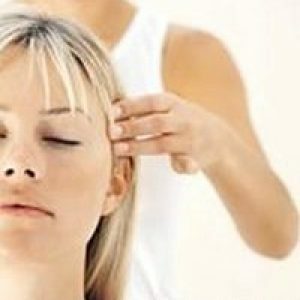 Based on Eastern approaches to natural healing in combination with Western scientific studies of the human body, a qualified kinesiologist can get a deep understanding of what is going on within your body on a physiological level and develop a custom, natural treatment plan to promote your health. Kinesiology is based on the principle that every muscle group is related to a specific area in your body including your digestive system and your organs. By monitoring your muscle movements a kinesiologist is able to get an understanding as to what is at the core of your problems, whether it is pain or physical discomfort to anxiety and depression. This type of testing allows the kinesiologist to study your muscles for many types of physical, mental, or emotional problems as well as vitamin and mineral deficiencies that could be leading to stress on your body and mind. By understanding these imbalances, holistic healing techniques can then be applied to naturally promote health and treat the issues causing you problems. Kinesiology can also be used for anyone who needs more energy, has self-esteem issues, has trouble sleeping, or those seeking a boost in memory, coordination and other cognitive functions. Through muscle testing, examination, and holistic therapies, kinesiology is a natural approach to health that focuses on healing all aspects of your being. I cannot praise Deborah enough for the work she has done with me over the past 2 years and how much my life has changed for the better. With Deborah’s help I have overcome the grief of losing my mother and best friend in the same year. My self-confidence and fitness have increased and I no longer suffer from lower back pain, which I’ve carried with me from a childhood injury. Deborah’s enthusiasm towards her work shines through and I was made to feel at ease in comfortable surroundings. Thank you Deborah.